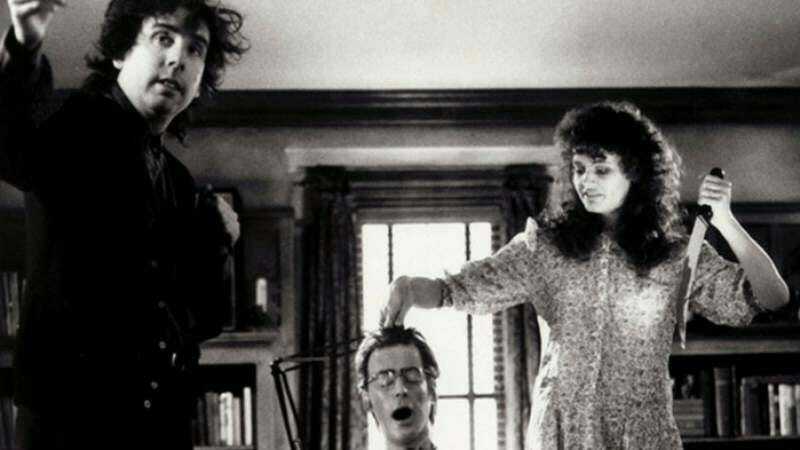 It’s easy to forget that Beetlejuice was only Tim Burton’s second movie after the success of Pee-Wee’s Big Adventure. That he carried those collaborations into immediate, iconic successes like Batman and Edward Scissorhands over just a few years is sort of incredible, at least for people who grew up watching all of those movies in a hazy VHS fever dream. Looking back, it’s worth admiring what a directorial and creative hot streak he enjoyed in his early years. It’s almost enough to make you forgive him for funding Johnny Depp’s wine addiction for the past decade. That’s probably why this collection of behind-the-scenes photos from the film’s production is gaining traction on Reddit—it’s fun to see this cast goofing around while they constructed something iconic. The photos have been around, well, since the ’80s, and they’ve attracted attention on the internet before, but there’s something evergreen about Lydia Deetz goofing around with a burnt-out husk of a corpse or a hirsute Alec Baldwin smoldering in a snapshot between scenes. View them and perhaps through some netherworld magic you can help will the film’s long-in-development sequel into being. Hopefully Burton doesn’t find a way to cast Depp in that one, too.